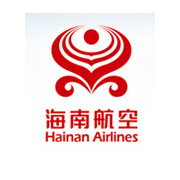 Jeppesen recently signed a five-year flight planning renewal agreement with Hainan Airlines of China, based on the airline’s success with adopting Simple Object Access Protocol (SOAP) technology services that connect the airline to Jeppesen’s JetPlan flight planning engine and multiple data sources. By implementing SOAP technology to connect with JetPlan, Hainan Airlines is now able to manage multiple operations tasks, including flight scheduling, crew management, flight plan filing and fuel price and payload database management. In a departure from typical single-source flight critical data delivery, the unique flexibility of Jeppesen SOAP technology has allowed Hainan Airlines to develop a new airline operations control (AOC) system that integrates flight planning information from numerous data sources. The data is then presented to operations staff through a customized graphical interface developed specifically for the airline. This customized interface provides a seamless connection to Hainan Airlines’ flight operations control (FOC) systems. This new system has bolstered the airline’s flight planning capabilities through the connection to the China-based JetPlan engine. The flexibility of the Jeppesen SOAP technology is critical to implementing flight planning data from multiple sources in China, as issues with local weather reporting, navigation data and flight plan filing systems are common. Jeppesen SOAP technology is constructed on a state-of-the-art services oriented architecture (SOA) platform that allows airline integration with the JetPlan engine to be easier to implement, modify and support. For more information on the industry-leading SOAP and custom flight planning solutions provided by Jeppesen, please visit our SOAP development site.